Mãe (Mother) Filhinha of Yemanjá-Ogunté (Photo: Gerald Lee Hoffman, Yemanjá the film (2015). While prejudicial, racial, and discriminatory ideologies of religious exceptionalism in regards to African spirituality persist even today (as many still hold on to the clichéd worldview of African religions as “savage,” “wicked,” and/or “demonic”), African mysticism has evolved into various denominations, adapting to a new order of cultural, social, and political characteristics just as its fragmented disciples were forced to do during the Transatlantic Slave Trade. In the wake of slavery, Afro-Pessimism, and other caustic methods that attempt to thwart African cultural and religious identity, indigenous African religions have had and continue to have an impact in the African Diaspora — especially the manifestations of the Yoruba religion, Ifá, which has transcended into other monikers in the Pan-African paradigm such as Santeria and Vodun. Africana women — in particular, Afro-Brazilian women — who practice African indigenous religiosity both historically and contemporarily play a pivotal role in Black women’s political mobilization in Brazil. 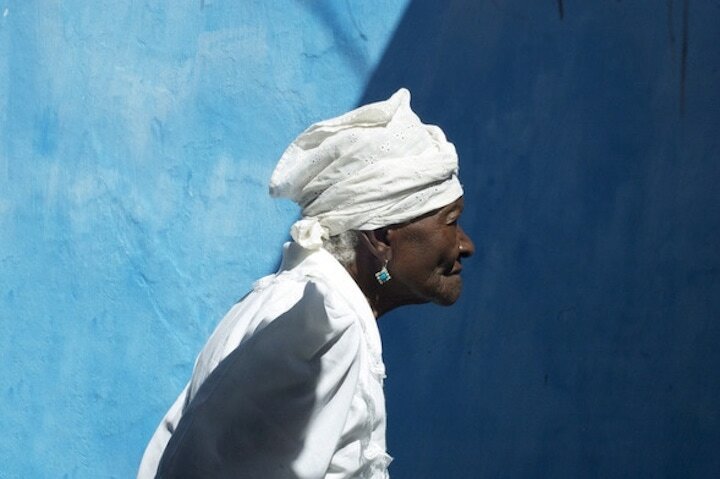 By embracing Candomblé — a Pan-African spiritual subset of Ifá — Black Brazilian women who practice African religious customs are not only asserting their socio-political agency, but more importantly, they are promoting an intersectional stance that focuses on their race, gender, and the social injustices that impact their livelihoods. Many of the foundational principles of Ifá still apply to this practice, but within a Pan-Africanist paradigm of new cultural, social, and linguistic variation. Candomblé, according to Sheila S. Walker, “is the religion that provides the spiritual foundation and superstructure of Bahian life.” Among the regions that were impregnated by the Diaspora, Bahia, which has been dubbed the “African Rome,” is considered the guardian of African traditions due to its “immense legacy of Africanisms.” In Bahia, Candomblé is seen and valued as an intrinsic force of cultural and societal values, as the African spirit permeates an officially Catholic city of more than two hundred million people. Whether it be in the fifteen hundred-plus Candomblé terreiros (temples); in the presence of the maes e pais de santo (mothers and fathers/priestesses and priests of Candomblé); or in the acaraje, a black-eyed pea fritter (a delicacy of certain deities that is known as “Baianas,” served by Afro-Brazilian women), Ifá has reconstructed itself in an Afro-Brazilian cultural and societal context. Salvador, Bahía, during the feast of Yemanja. Photo: Chika Oduah. Maes de santos in Bahia have been critical in asserting their agency via anti-racist and discriminatory resistance initiatives, political mobilization, and advocating for the advancement of the Afro-Brazilian community. 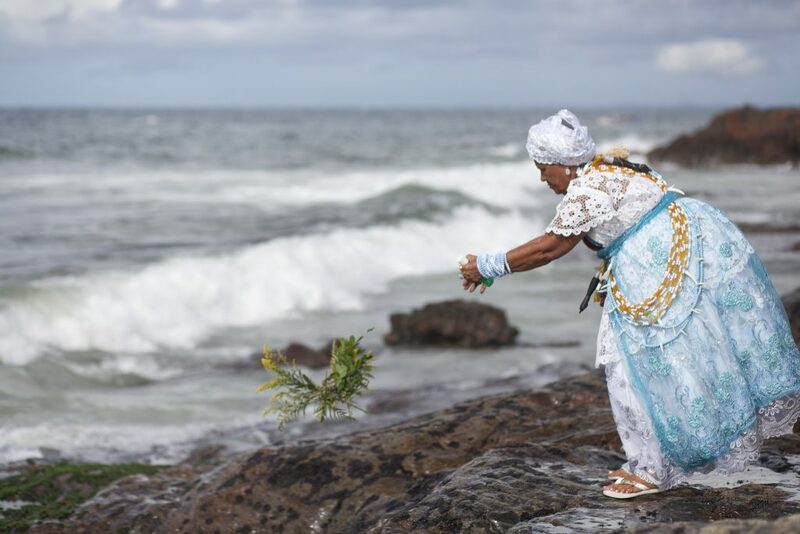 In the 2015 documentary film Yemanjá: Wisdom from the African Heart of Brazil, filmmakers Donna C. Roberts and Donna Read explore the history and contemporary nature of Candomblé in Bahia through the perspectives and lens of pioneering women who have maintained their African roots vis-à-vis African religiosity. Interviewing several maes de santos, Roberts and Read showcase how pivotal Afro-Brazilian women have been in catalyzing socio-political transformations in Bahia and beyond. Photo Credit: Yemanjá the film (2015). 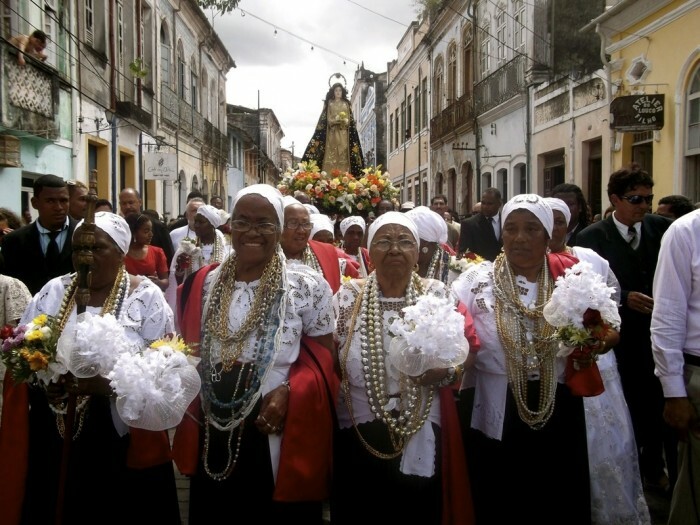 In understanding the role of religiosity in Brazil, Afro-Brazilian women who are maes do santos have used Candomblé to advocate for social parity in Brazil. African indigenous religions had and continue to have an impact in the African Diaspora, especially in Brazil where Afro-Brazilian women have used African religiosity to assert their agency. Not only have manifestations of the Yoruba religion, Ifá, extended the religion through the Transatlantic slave trade, it has manifested itself in other monikers in the Pan-African religious paradigm including Candomblé, Santeria, Lucemi, and Vodun, and can be seen in many countries including Argentina, Brazil, Colombia, Cuba, Haiti, Mexico, Trinidad and Tobago, and the United States. While many of these religions have survived through syncretism, Ifá has emerged as an autonomous faith outside religious amalgamations and has catalyzed organizations and institutions such as the Ifá Foundation International and the Ifá Heritage Institute. Moreover, as noted in Ayele Kumari‘s book Iyanifa, Woman of Wisdom: Insights from the Priestesses of the Ifá-Orisha Tradition, their Personal Journeys and Plight for the Divine Feminine, though “women have lost much of their ancient mysteries to patriarchy and slavery, Iyanifas, Iyamis and Queen mothers of Africa [have] resurface[d] to continue in an ancient tradition legacy for new generations across the globe.” Africana women continue to reclaim themselves and the Ifá tradition while also countering racism, sexism, and patriarchy through Ifá religiosity in the Diaspora, including through Candomblé in Brazil. G R E A T work. I’m going to get that book, Iyanifa, Women of Wisdom. Great piece. May I suggest as well Rachel Harding’s excellent A Refuge in Thunder?